Each app begins with an analysis of your business goals. We align these goals with technology to create a strategy that drives business growth. We make pixels come to life. Our designers are well versed in Apple's iOS Human Interface Guidelines and design beautiful apps that Apple would be proud of. Our engineers provide expert development services and employ agile methodologies. 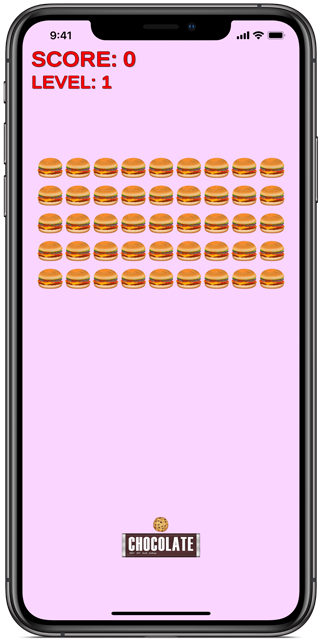 We build apps with Obective-C and Swift. Quality assurance plays a key role in the development lifecycle of your app. Our testing methodology includes: unit, UI, and user aceptance which ensures proven stability and performance. Each app requires a custom approach to software support and maintenance. We provide multiple options tailored to your needs. Planning for the future is imperative to the success of any business. Our consulting services are available to clients of any size. 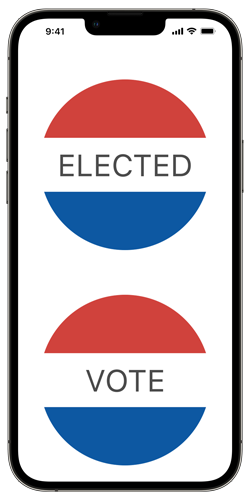 Copyright © 2019 App Viper Inc.
Voted In helps you find elected officials and upcoming elections based on your location. For any U.S. residential address you can look up who represents that address at each elected level of government. During supported elections you can find polling places, early vote locations, candidate data, and other election official information. Have you ever been on a train or an airplane and wanted to know how fast you were going? 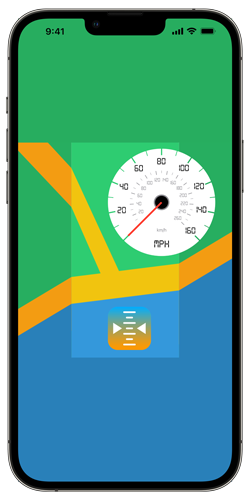 Locatometer [location meter] displays your location on a map along with your Speed, Altitude, Heading, Latitude, Longitude and Location Accuracy. Share all of the above information on Facebook, Twitter, Messages, etc. Easily set the display for either the Imperial or Metric system. User selectable map types include: Normal, Satellite or Hybrid. Color Savvy lets you turn your iPhone, iPad or iPod into a colored light table. A light table has many uses including: tracing, animation, cartoons, design, drawing, education, architecture, photography, interior design, and fashion. 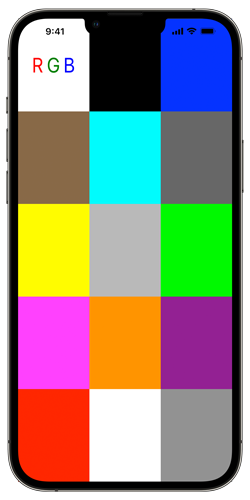 Select a color from the iOS palette or create your own using the RGB sliders. Alpha and brightness can also be adjusted. Craving something sweet to eat but need help finding it? 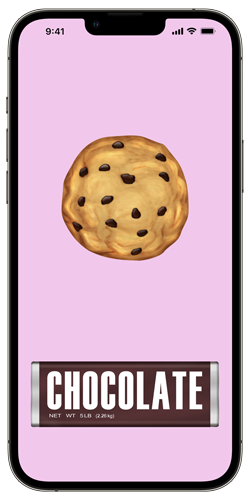 Sweetlicious is a food navigation app which helps locate decadent desserts near you. 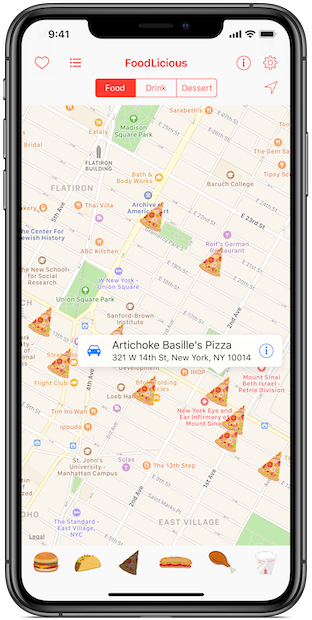 Press any dessert icon and results are displayed on an interactive map based on your current location. Full details, directions and sharing with friends are just a tap away. Craving something hearty to eat or delicious to drink but need help finding it? 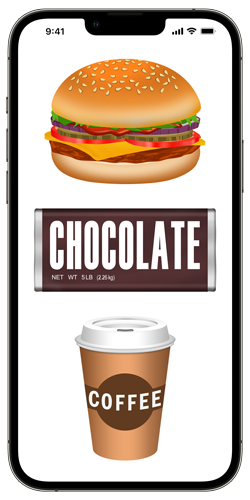 Foodlicious is a food, drink, and dessert navigation app that helps you find hearty eats, delicious drinks, and decadent desserts near you. Press any icon and results are displayed on an interactive map based on your current location. Full details, directions and sharing with friends are just a tap away. Craving something to quench your thirst but need help finding it? Drinklicious is a drink navigation app which helps locate beverages near you. 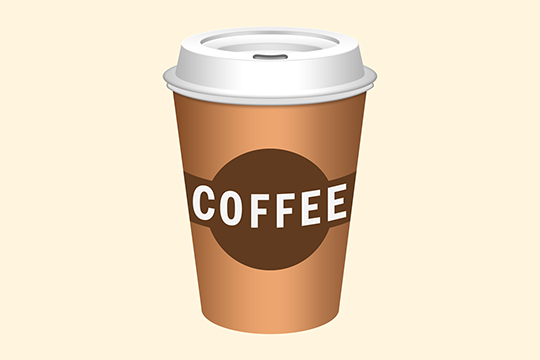 Press any beverage icon and results are displayed on an interactive map based on your current location. Full details, directions and sharing with friends are just a tap away. 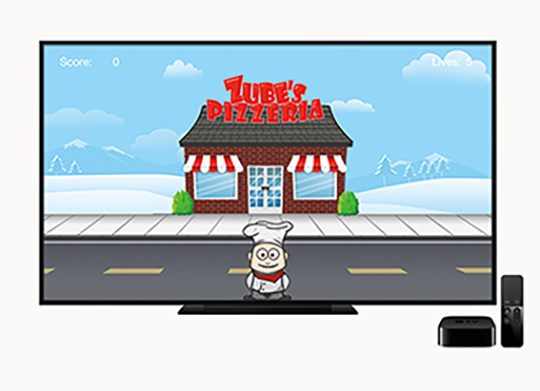 Now you can play Pizza Bomb on the new Apple TV! 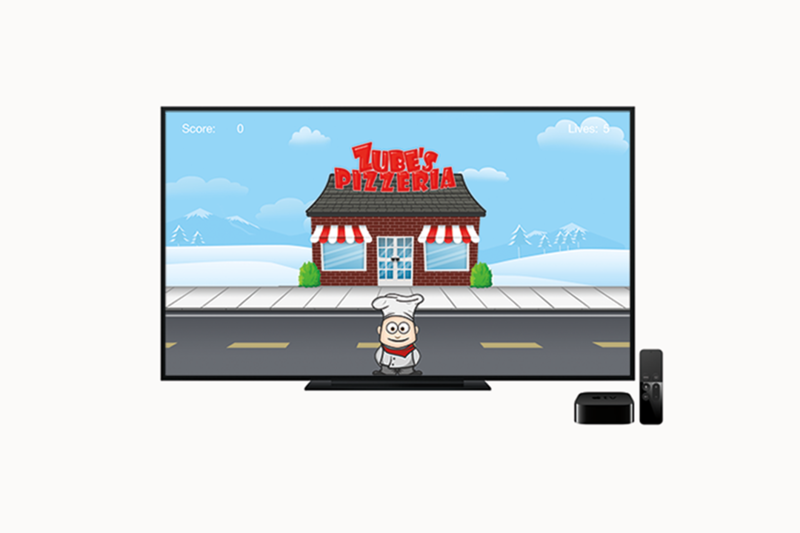 Help Chef Zube make his pizza delivery in full HD. Control his movements using the Siri Remote. 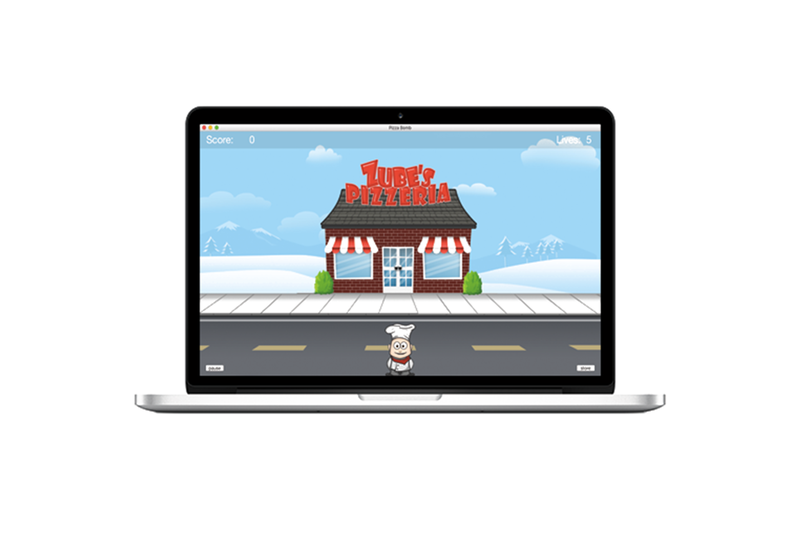 Want to play Pizza Bomb on your Mac? 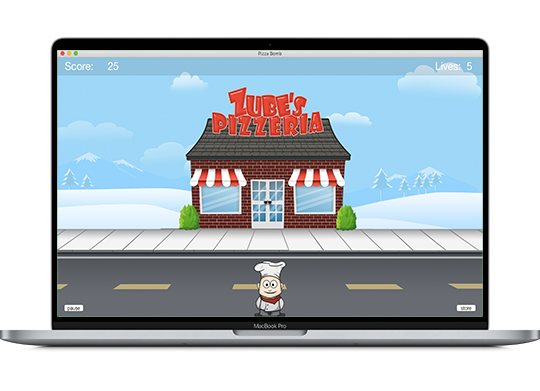 Help Chef Zube make his delivery. Your privacy is important to us. It is App Viper's policy to respect your privacy regarding any information we may collect from you across our website, http://www.appviper.com, and other sites we own and operate. By accessing the website at http://www.appviper.com, you are agreeing to be bound by these terms of service, all applicable laws and regulations, and agree that you are responsible for compliance with any applicable local laws. If you do not agree with any of these terms, you are prohibited from using or accessing this site. The materials contained in this website are protected by applicable copyright and trademark law. Permission is granted to temporarily download one copy of the materials (information or software) on App Viper's website for personal, non-commercial transitory viewing only. This is the grant of a license, not a transfer of title, and under this license you may not: modify or copy the materials; use the materials for any commercial purpose, or for any public display (commercial or non-commercial); attempt to decompile or reverse engineer any software contained on App Viper's website; remove any copyright or other proprietary notations from the materials; or transfer the materials to another person or "mirror" the materials on any other server. This license shall automatically terminate if you violate any of these restrictions and may be terminated by App Viper at any time. Upon terminating your viewing of these materials or upon the termination of this license, you must destroy any downloaded materials in your possession whether in electronic or printed format. The materials on App Viper's website are provided on an 'as is' basis. App Viper makes no warranties, expressed or implied, and hereby disclaims and negates all other warranties including, without limitation, implied warranties or conditions of merchantability, fitness for a particular purpose, or non-infringement of intellectual property or other violation of rights. Further, App Viper does not warrant or make any representations concerning the accuracy, likely results, or reliability of the use of the materials on its website or otherwise relating to such materials or on any sites linked to this site. In no event shall App Viper or its suppliers be liable for any damages (including, without limitation, damages for loss of data or profit, or due to business interruption) arising out of the use or inability to use the materials on App Viper's website, even if App Viper or a App Viper authorized representative has been notified orally or in writing of the possibility of such damage. Because some jurisdictions do not allow limitations on implied warranties, or limitations of liability for consequential or incidental damages, these limitations may not apply to you. 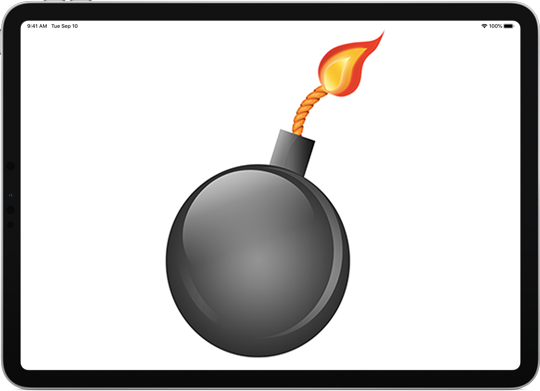 The materials appearing on App Viper's website could include technical, typographical, or photographic errors. App Viper does not warrant that any of the materials on its website are accurate, complete or current. App Viper may make changes to the materials contained on its website at any time without notice. However App Viper does not make any commitment to update the materials. App Viper has not reviewed all of the sites linked to its website and is not responsible for the contents of any such linked site. The inclusion of any link does not imply endorsement by App Viper of the site. Use of any such linked website is at the user's own risk. App Viper may revise these terms of service for its website at any time without notice. By using this website you are agreeing to be bound by the then current version of these terms of service.